Dubai, UAE, July 29, 2018: The word luxury conjures money and status, but the original concept of luxury has a deeper meaning. Beneath the beauty of their outward appearance, luxury products can embody the values, culture and time-honoured skills of the master artisans who create them by hand. If we focus on the original concept of luxury, what might we notice? This September visitors to Homo Faber in Venice will be able to witness some of the incredible skills and techniques mastered by artisans working in the European luxury sector and presented in the exhibit Discovery and Rediscovery. Europe has long been a centre of excellence for luxury products, but in this modern world of machinedriven consumerism, the essential values of the luxury sector are sometimes forgotten or lost altogether. This exhibit puts the focus squarely back on the craftsmanship that goes into making luxury items, shining a spotlight on the human beings behind the brands – the artisans whose skills and experience bring real meaning to the concept of luxury. Discovery and Rediscovery showcases 20 very special artisanal techniques inspired by the list of métiers d’art outlined by the French Institut National des Métiers d’Art (INMA). 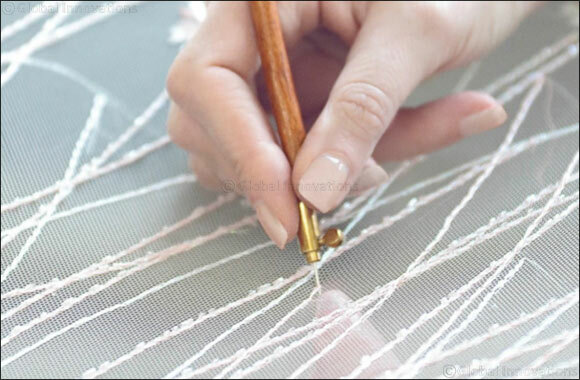 Each technique will be demonstrated by an artisan from a European luxury house whose history and ethos is closely linked to the skill on view. Renowned maisons and exceptional ateliers will come together in the same room in an unprecedented showcase of the extraordinary craftsmanship behind iconic products of true luxury. Visitors will be able to interact with master artisans from each of the maisons as they work on site, making beautiful items that require skills such as crystal engraving, gem sculpting, hand weaving, Lunéville embroidery or bookbinding. Visitors will leave with a real appreciation of the care, mastery of technique, respect for materials, passion for process and sheer man hours that go into finished products of the highest quality. The exhibit testifies to the high regard the luxury sector has for artisanal skills and its continuing commitment to preserving master craftsmanship for the future. Discovery and Rediscovery is one of 14 exhibits that make up Homo Faber, a major new exhibition celebrating European craftsmanship, organised by the Michelangelo Foundation.